It’s Children’s Day…every little kid looking forward to enjoy their BIG day with friends and family. For this special day, give your child a surprise gift with our handcrafted KoKoRu items or our newly launched DIY inflatable balloon. 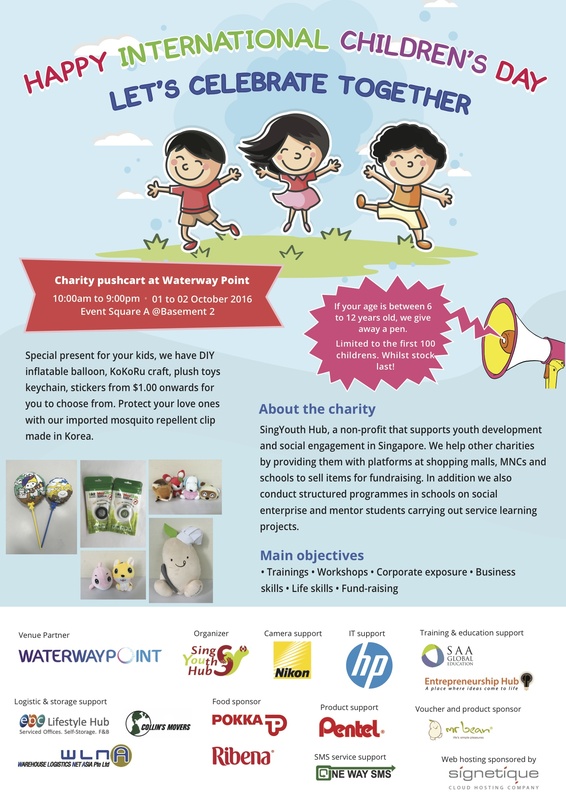 Visit us this weekends (01 & 02 Oct) West Wing of Waterway Point, Basement 2 Event Square A. We also give away pen to children between 6 to 12 years old. Whilst stock last.